Many different definitions of computational universality for various types of systems have flourished since Turing’s work. In this paper, we propose a general definition of universality that applies to arbitrary discrete time symbolic dynamical systems. 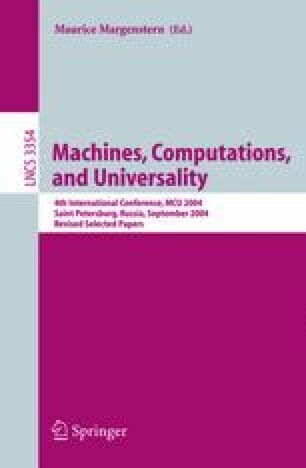 For Turing machines and tag systems, our definition coincides with the usual notion of universality. It however yields a new definition for cellular automata and subshifts. Our definition is robust with respect to noise on the initial condition, which is a desirable feature for physical realizability. We derive necessary conditions for universality. For instance, a universal system must have a sensitive point and a proper subsystem. We conjecture that universal systems have an infinite number of subsystems. We also discuss the thesis that computation should occur at the ‘edge of chaos’ and we exhibit a universal chaotic system.